If you are working with an electronics manufacturing services provider on an NPI, the provider should demonstrate to you that they have strong and proven processes in place to deliver your new products on time and in full without any serious glitches. The following guide might be of assistance to you in your discussions regarding your electronics manufacturing services provider’s NPI processes. When the electronics manufacturing services receives your order, the assigned project engineer should check that the build data is complete and verify they have the final bill of materials, associated drawings, CAD data, test specifications, etc. Any discrepancy should be reported to you immediately to avoid unnecessary costs. One of the links in the chain of tasks is to ensure that your electronics manufacturing services provider understands whether or not you require first off product sent for approval. Contingent on the length of time needed and the batch quantity ordered, the assembly partner determines the best quantity of product to be built as first off. 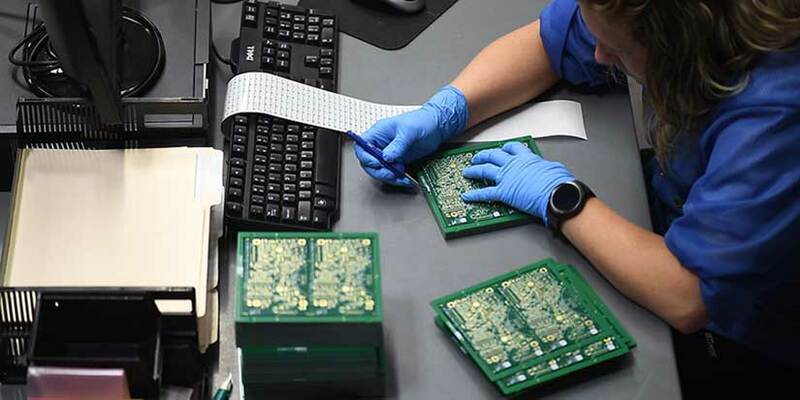 At this stage, the electronics manufacturing services provider should acknowledge the order, confirming the name of the product and revision level, quantity, price, and delivery. Early on in the process, the project engineer should verify, upon arrival of the material, that they have received everything necessary to build the product. The electronics manufacturing services provider should also verify that all necessary information has been loaded into their computer system. Different build packs for each product must be generated, including complete data for each production, in order for the test operator to know what is required in the various stages of manufacturing. The build should be supervised by the project engineer at every step in the production, from reviewing how the material was supplied, to signing off on the build. The electronics manufacturing services provider will update the original build documents, making notes or inserting necessary care points, all the while reporting the build progress and any technical issues to you. At completion (assuming no design or technical issues arose), shipment will be authorized by the electronics manufacturing services provider’s project engineer. In the finalization phase, a formal NPI report will be provided to you by the electronics manufacturing services provider’s engineering team. Each electronics manufacturing services provider has a unique way of handling the NPI Process. The above is merely a suggested guide in your journey to success. Our experience in the industry provides you with the knowledge and foresight to make intelligent decisions on purchasing for supplies. You can be confident that we have processes firmly in place, using advanced supply chain to track all inventory from storage to end of production. In addition, SMC works with suppliers by scheduling material orders dependent on forecasts. This ensures production shortages are not an issue, and allows us to rapidly respond to greater-than-expected demand without waiting for months for extra critical parts.